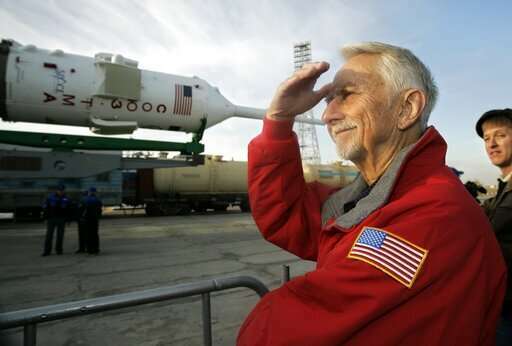 A statement released by the space agency says Garriott died Monday. He was 88. Garriott flew aboard the early space station Skylab in 1973, spending about 60 days in space. He also was part of the ninth space shuttle mission aboard Columbia in 1983. That six-person crew was the largest at the time to fly aboard a single spacecraft. Garriott was selected as an astronaut in 1965. He held other positions within NASA, including director of Science and Applications at the Johnson Space Center in Texas.